With the rise of super corporation colonisation around the turn of the century came the growing need for Security capable of protecting business interests without the need to involve government forces. The imerc was the answer to this, well trained and upgrade with the very best shielding, technology and weaponary. You need a competitors researchers to go missing, his factories explode... They have an app for it. Yes, but the stupid auto spell checker can lead to some really embarrassing moments when giving the orders to kill. 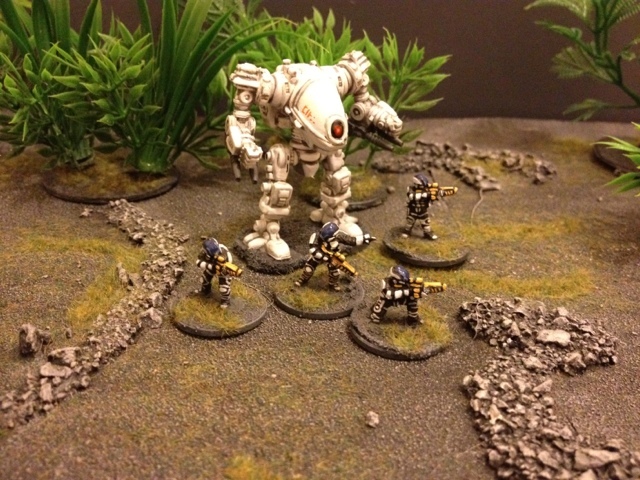 Love how you painted Rebel mini mech. It looks very good even without glass cockpit, like completely different model! LOve the way you painted Mech. 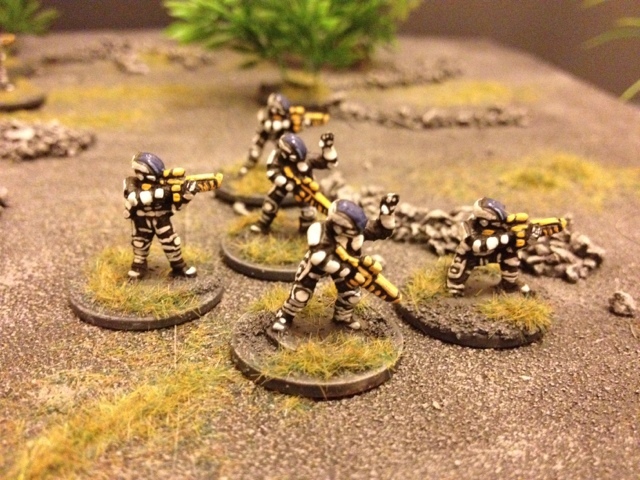 Could You tell us about painting UNSC figures? White or black undercoat? Washes? Umpapa they were undercoated with pound shop grey primer, then given a coat of vallejo dark grey, I then gave them a wash of badab black. 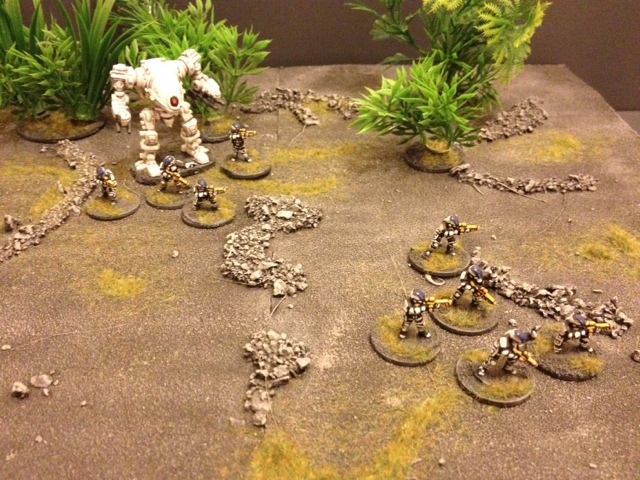 All I did then is pick out the armour plates and gaunntlets ect with vallejo foundation white. Same with the weapons only with vallejo "something brown" ( I cant remeber what its called and the label has worn off, its basically a dark yellow colour and not brown at all) with a little highlight of vallejo bronze flesh ( again its yellow, the labels lie!!! )visor is humbrol acryllic blue ( no. 25) with lighter blue highlight at the bottom.